The Godfather Part II (Paramount, 1974). Mini Lobby Cards (6) (8" X 10"). Crime Drama. Starring Al Pacino, Robert Duvall, Diane Keaton, Robert De Niro, John Cazale, Talia Shire, Lee Strasberg and Richard Bright. Directed by Francis Ford Coppola. These mini lobby cards have very light corner bends, and a line from a marker on one card. Great shots from the film, with Pacino and De Niro featured prominently. Near Mint-. 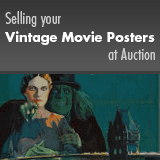 Consign to the 2019 July 27 - 28 Movie Posters Signature Auction - Dallas.